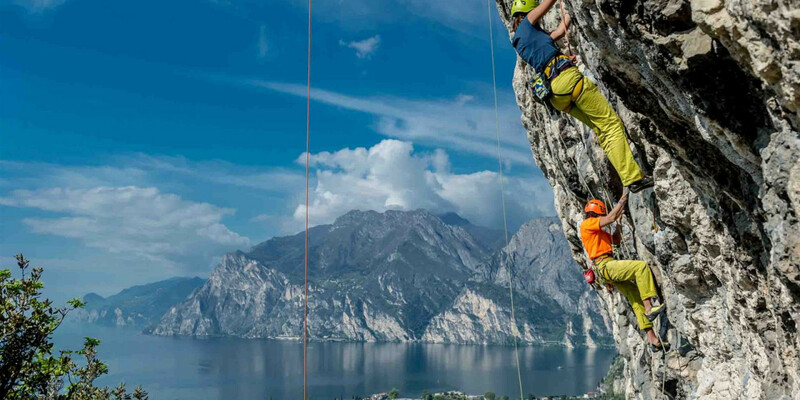 Learn all about climbing in this stunning route over Lake Garda. Perfect for beginners and perfect for views. The tour is private and runs with maximum 8 people per guide. More guides can be present to accommodate larger groups. Available times are every Monday and Saturday at 9.00 a.m. and Thursday at 2.00 p.m.
You may meet at whichever location is most convenient. It is recommended to have good physical shape and not suffer from vertigo or fear of heights. What to bring? Sneakers and comfortable clothes, small backpack for snacks and valuables, and sunscreen. If you would like a private tour, please contact us for more information. 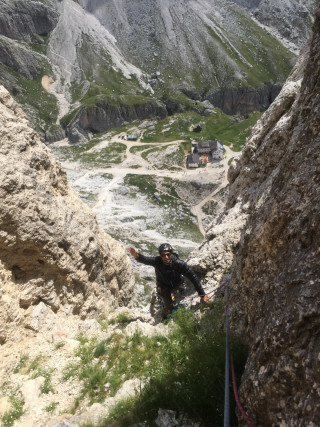 Italy is just as famous for its outdoor sports as it is for its wine. Lake Garda and the mountains around this sparkling water make it an epicenter for activities like canyoning, hiking, and rock climbing. The many routes of the Arco Valley, just north of the lake, challenge climbers of varying levels. 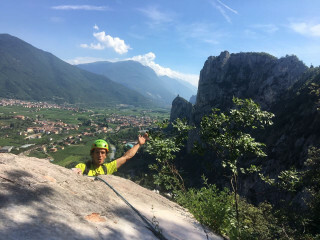 Whether you're new to climbing or you want to improve your skills, the green covered cliffs of Arco Valley create a gorgeous backdrop to explore the area's lush nature. 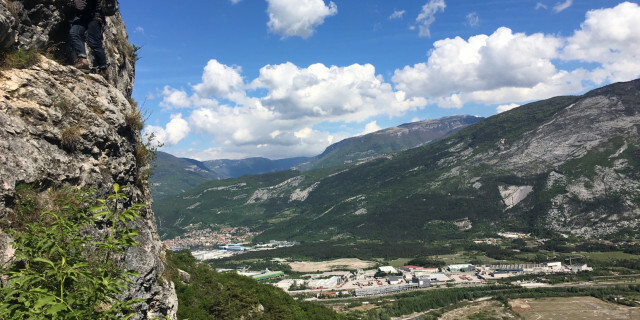 After your mountain guide greets you at the meeting point in the Arco Valley, you drive up into the hills of the valley where the rock formations stand high. 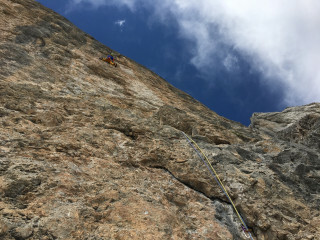 Once fitted into your equipment, the instructor guides you through the basics of climbing technique and safety. If you are of intermediate level, you can discuss with your guide the specifics of the skills you would like to focus on. 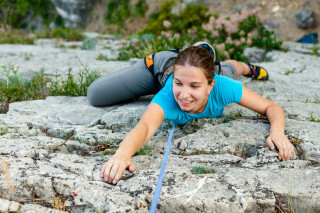 Please note that climbing outside on real rocks differs greatly from climbing indoors. The routes range in difficulty from 5b to 7+, so please take your outdoor climbing experience into account. Climb through forests of lush Mediterranean plants. Admire the Magnolia and laurel trees populating the regions thanks to its mild climate. 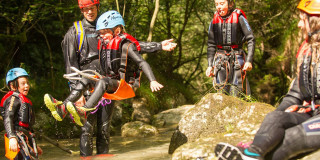 With the fresh air and the wild nature around you, learn or develop your rock climbing abilities in this charming setting. 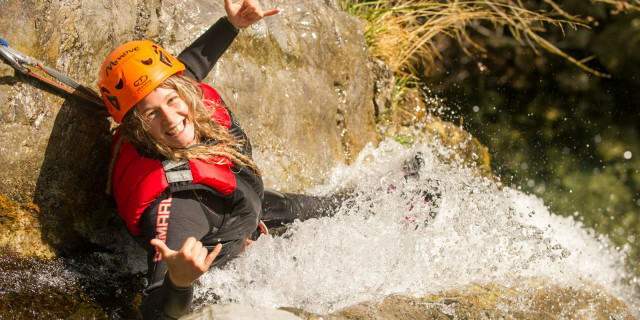 See why Italy is just as popular for its adventure sports as for its wine. 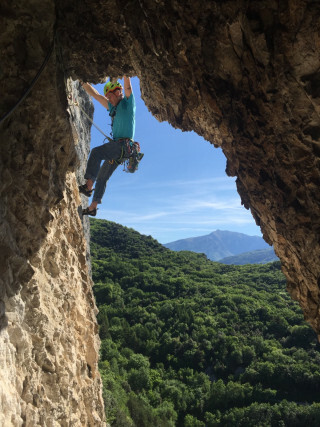 Come with whatever climbing knowledge you have and leave with a fantastic day of climbing through this Mediterranean climbing hotspot.